Who doesn't love shopping ? Well, everyone loves shopping, both men and women. Shopping can lift up our moods and relieve stress, even some people think that shopping is their major hobby. It's not a fault anyway, but the thing is : we often spend our money for something that we don't really need or the price of product we bought is way too expensive compared to regular price, especially when we bought it online. 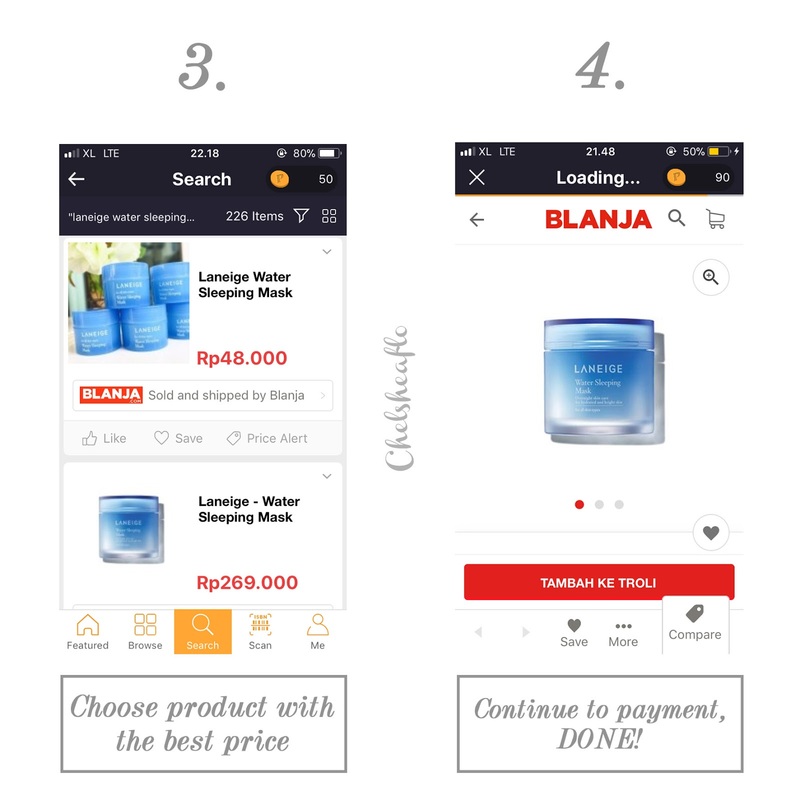 Therefore, before we start shopping online, we better consider about these 3 little things that can help you to become a smart online shopper, perhaps. Before start buying products, make sure you write a list of the products you want to to buy, then if you can filter, filter it to prevent impulse buys. However, if you really need to buy those products on your list, make sure that you will only stick to those things, do not let yourself go for extra items. Online shopping websites often hold promotion such as shopping voucher, affiliation program, anniversary event, etc, to boost their statistics. Go get the products you've been eyeing when they hold those kind of promotions. This is the most important thing that we have to consider when we are going to buy something online. Get the best price - but how ? Should we surf from one website to another to compare the price ? Yup, we should! I know it must be tiring for some of you who doesn't like to waste your time on the internet just to compare price from website to website - but hey! I got a quick solution for you guys! It's Priceza Indonesia ! What is it ? 1. Visit priceza.co.id or download the app on App Store or Play Store, search Priceza. 2. Search product that you're looking for at the search box. 3. There will be appeared variant prices comparison from several online shopping websites, choose the best price, purchase, then done ! Super easy, right ? However, if you want to get more benefit from Priceza Indonesia, I suggest you to become their member by signing up an account because they have special treat for their loyal members which is Priceza Rewards. 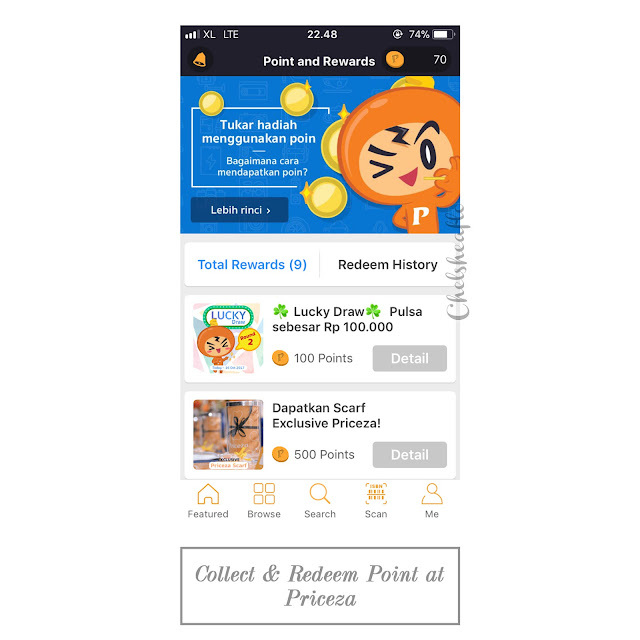 Basically, we can collect points as many as possible, then we can exchange it for attractive items such as credit, shopping voucher, or exclusive scarf from Priceza. Oh, there are 2 kinds of gifts that we can receive though ; Regular Gift ( gifts that can be exchanged every month ) and Lucky Draw ( member will receive lucky draw number to get the prize through lottery ). Can you imagine if we can receive regular gift and win the lucky draw at the same time ? It's a major advantage ! Last curiousity, how to collect the point ? Obviously by being active on Priceza ! But don't worry, because the tricks are quite easy to follow. If you subscribe email or download Priceza app on your smart phone you will get 50 points. Writing review will lead you to receive more points : 50 points for first review, 25 points for the next review. 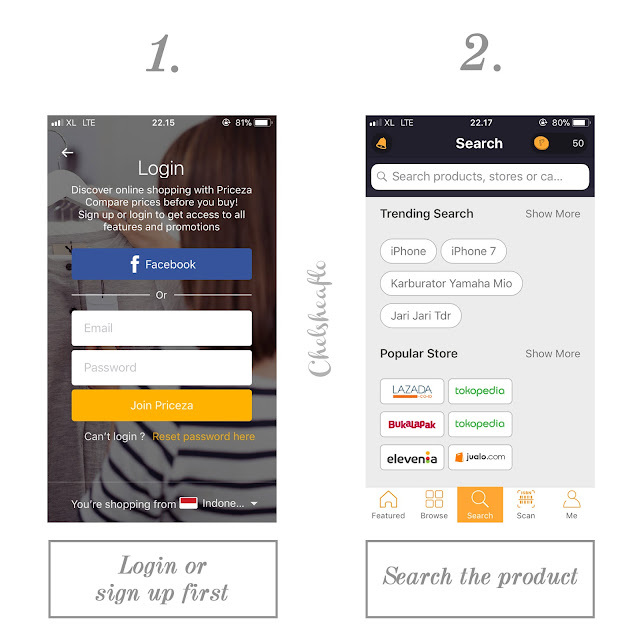 Visiting the online shopping website's home will also make you receive another 10 points, like and save the product for more 10 points, and voting for product quotes & prices for another 10 points ( applicable only in apps ). Well, I know that it must be quite confusing at first, so if you want to know further details about Priceza Rewards, you can check it here. First time hearing about this new site. Thanks for sharing. Amazing, so interesting and useful! Lovely! These are nice tips. The app sounds amazing,i'm sure its a delight among the asian consumers. Great tips! I love those apps to compare prices!